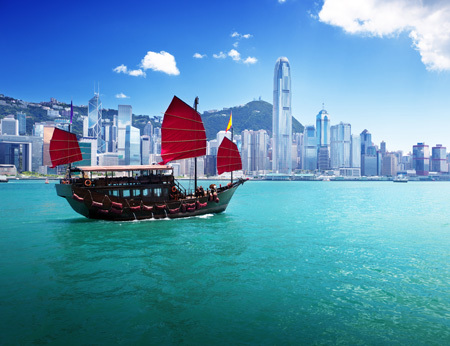 Days 3-4 Hong Kong: A half day city tour of Hong Kong Island is recommended to help get your bearings. Do take a ride across the harbour on the Star Ferry, board the funicular tram to Victoria Peak and don’t miss the dazzling Symphony of Lights harbour show. Day 6 Bangkok: Impressive sights include the elaborate Grand Palace complex and the Temple of Dawn. There’s also wonderful shopping and restaurants with just about everything on the menu. Day 7 Bangkok/Cha Am: Transfer by road to Cha Am, which is famed for its fresh seafood and relaxing atmosphere. Days 8-13 Cha Am: Enjoy a week of lazing on the long casuarina-lined beach which fringes the calm turquoise waters. After dark, head to the vibrant night market at neighbouring Hua Hin. Day 14 Cha Am/Dubai: Transfer back by road to Bangkok for your flight to Dubai. Accommodation: 4*Plus Dorsett Wanchai, Hong Kong; 4* Rembrandt, Bangkok,4* The Regent Cha Am Beach Resort, Cha Am and 3* Rove Marina, Dubai. Higher grade hotels available in each destination. Meals: Room only in Hong Kong, Bangkok & Cha Am. Breakfast in Dubai.